TRUFA stewards are elected at the TRUFA Annual General Meeting. The Vice President, Stewards (or “Chief Steward”) is elected by the committee. 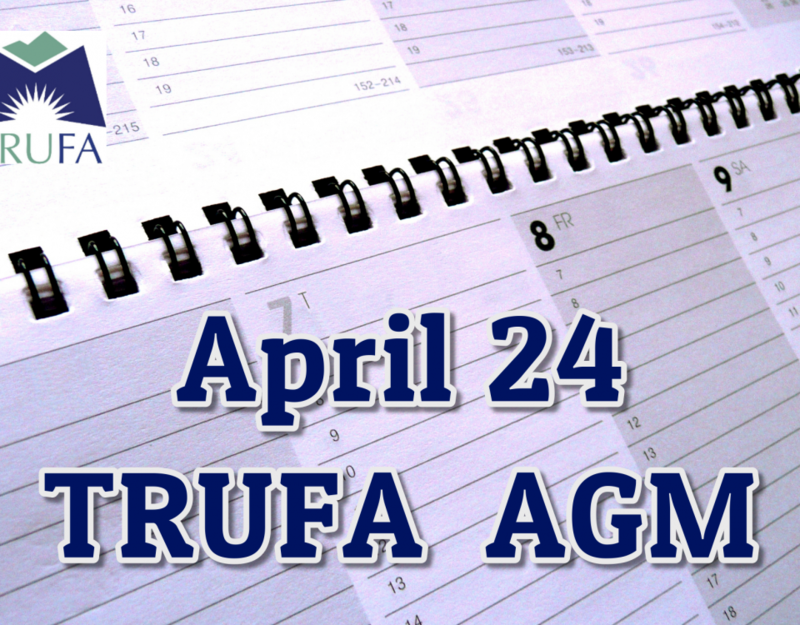 At the April 2018 TRUFA AGM, there will be three vacancies for Kamloops stewards and two vacancies for Williams Lake stewards to be filled. The Stewards Committee meets weekly on Fridays between 11:30 am and 1:30 pm. The Vice President, Stewards sits on the TRUFA Table Officers committee, which meets weekly for two hours and is the TRUFA representative to the FPSE Contract Administration Review Committee (CARC), which meets twice a year. Membership: The Stewards Committee is normally comprised of ten (8 Kamloops and 2 Williams Lake) members-at-large. Depending on the Stewards’ workload, the number of Stewards can be increased (or decreased) at the discretion of the Committee, with approval of the TRUFA Executive. 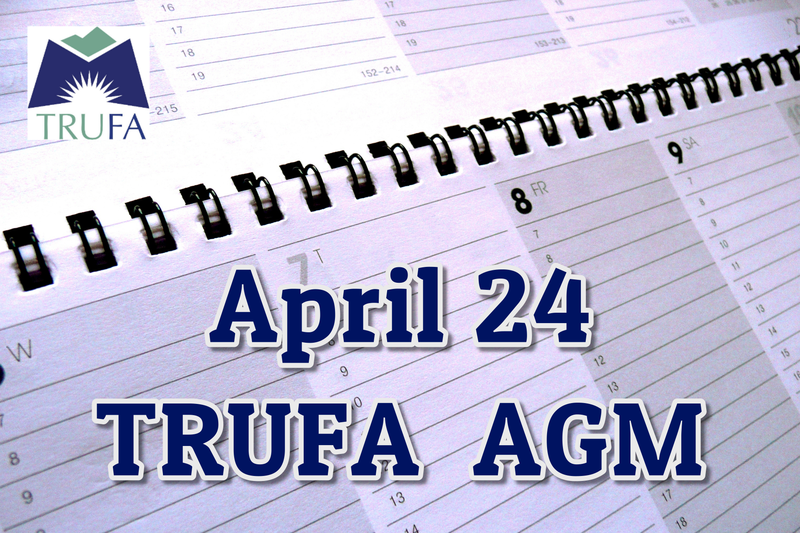 Term of Appointment: Members (Stewards) are elected at the TRUFA Annual General Meeting (AGM) for a two-year term. Stewards’ terms of appointment are staggered so that 50% of the committee members’ terms end every two years. Recall: TRUFA Stewards recognize the right of the Union to remove any Steward from the Committee for just and reasonable cause. Violation of the Steward Code of Conduct shall be deemed just and reasonable cause. In the event a majority of the Committee membership believes there is just and reasonable cause to remove a Steward, a Chief Steward shall petition the TRUFA President in writing to adjudicate the matter. In the event a Chief Steward is being removed, the remaining Stewards shall petition the TRUFA President in writing to adjudicate the matter. Duties and Responsibilities: The Committee is solely responsible for administration of the Collective Agreement and only Stewards advise TRUFA members regarding the interpretation of the Collective Agreement. Committee representatives consult, communicate, and meet with representatives of the employer as required to attempt to resolve disputes and to process grievances. Meetings: Normally meetings of the Committee are held weekly, throughout the year. Special meetings may be convened at the call of the Chief Steward. Meetings with the employer are held as required. Attendance and Participation: All Committee members are expected to attend all meetings and participate in the business of the committee. If a member misses three meetings or more than half of the meetings held in any year between TRUFA AGMs, without an acceptable reason, or if a member does not participate in the regular work of the committee, the Committee may recommend to the TRUFA Executive that the member be removed from Stewards and the member’s seat on the Committee be declared vacant. Quorum: Fifty percent of Committee members, including the Chair. Voting: While every attempt will be made to achieve consensus in all decisions of the Committee, motions will be adopted by a simple majority of those present in a meeting where quorum is present. Record Keeping: The Committee shall designate a Recording Secretary from among its members who will be responsible for ensuring that all record-keeping requirements are carried out. Reporting: A Chief Steward reports regularly to the TRUFA Executive, prior to Executive meetings, or at other times as requested. A Chief Steward shall provide the Stewards Committee with a copy of his/her report prior to the Executive meeting and ask for input. The President may ask a Chief to report on its activities to the general membership through the union Newsletter or other means. Chief Steward: The Committee shall elect a Chief Steward from its members at the first meeting of the Committee held after the convening of the TRUFA AGM. The Committee will normally elect a Chief Steward who has previously served on the Committee. If the Committee agrees, a Deputy Steward can serve as a second Chief Steward, and the Co-Chief Stewards will share all responsibilities of the Chief Steward. The Committee will normally elect Chief Stewards who have previously served on the Committee. If a Co-Chief is elected, it is not necessary to have a deputy steward unless the committee decides. The Chief Steward(s) or designate shall Chair all meetings of the Committee and attend TRUFA Executive, Table Officers, and Faculty Consultative Committee meetings. The responsibilities of the Chief Steward(s) include acting as liaison with the FPSE Staff Representative on Stewards Committee business and attendance at appropriate FPSE meetings/training sessions. The Chief Steward(s) shall attend the TRUFA AGM and all meetings of the TRUFA general membership. Deputy Chief Steward(s): If applicable The Committee shall elect a Deputy Chief Steward from its members at the first meeting of the Committee held after the convening of the TRUFA AGM. If the Committee determines the need, additional Deputy Chief Stewards shall also be elected from its members. The Committee will normally elect Deputy Chief Stewards who have previously served on the Committee. In the event a Chief Steward is unable, the Deputy Chief Steward shall Chair all meetings of the Committee, attend TRUFA Executive, Table Officers, and Faculty Consultative Committee meetings and act as liaison with the FPSE Staff Representative on Stewards Committee business and attendance at appropriate FPSE meetings/training sessions. A Deputy Steward will normally attend Faculty Consultative Committee meetings and attend the TRUFA AGM and all meetings of the TRUFA general membership. The Contract Administration Review Committee works to improve the economic and professional welfare of the members of FPSE by facilitating the exchange of information on these matters among members and by providing assistance in the administration and enforcement of collective agreements (Constitution 2.2 and 2.10). It is recognized that collective action is necessary to maintain and improve the economic standing, professional rights, and working conditions of the members of FPSE. 1. 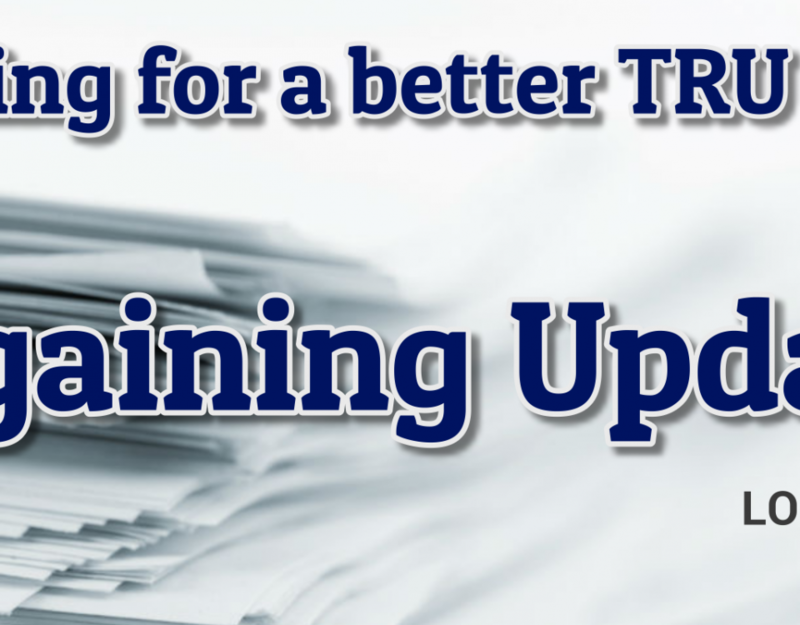 Monitor developments in contract clauses and develop strategies to protect and enhance the interest of the members of FPSE. 2. Develop and recommend to the Presidents’ Council a program of grievance and contract maintenance and education and evaluate its implementation. 3. Facilitate the development of an effective system of contract administration by the locals. 4. Examine and recommend to the Presidents’ Council collective action in support of the policy statements of this Committee.